Surely, a college campus is one of the very few places in the world in which a new manual on writing style and usage (or is it use?) is a cause for rejoicing — or maybe outrage. 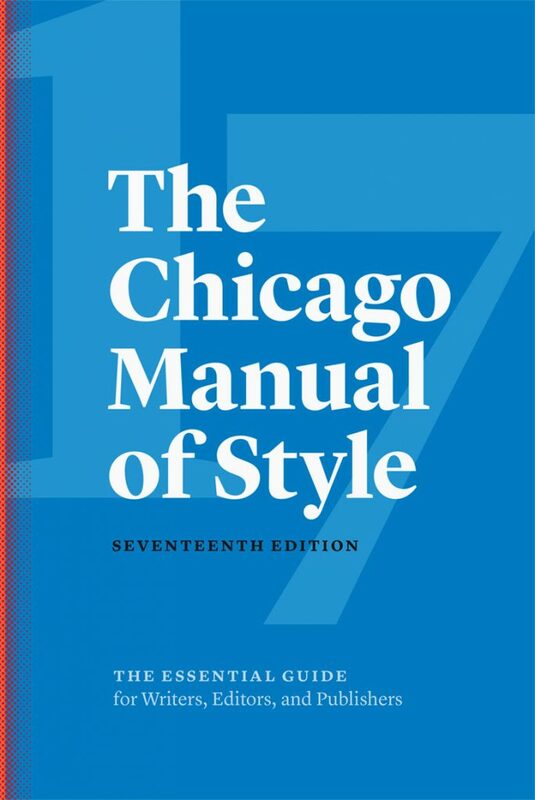 The University of Chicago Press just released the new 17th edition of its Chicago Manual of Style, one of the most venerable and respected guides to the use of the English language. Or, as the publisher phrases it, ” It is the indispensable reference for writers, editors, proofreaders, indexers, copywriters, designers, and publishers, informing the editorial canon with sound, definitive advice.” But most students (and former students) probably know it as one of those infamous guides, so beloved by their professors, to the formatting of research paper bibliographies, footnotes, and such. The University Library now has a printed copy (on Reserve at the Information Desk) and W&L students, faculty, and staff also have online access through the library’s subscription to the official Chicago Manual of Style website, which contains the complete text of the new edition, plus lots of other authoritative guidance. Links to the guide are available in the library catalog and various online course research guides. Much of the discussion in the new edition is fascinating for any fan of the English language. As Exhibit A, we offer the entry on the “Singular ‘They‘,” which includes a brief examination of the use of the word themself. Enjoy.